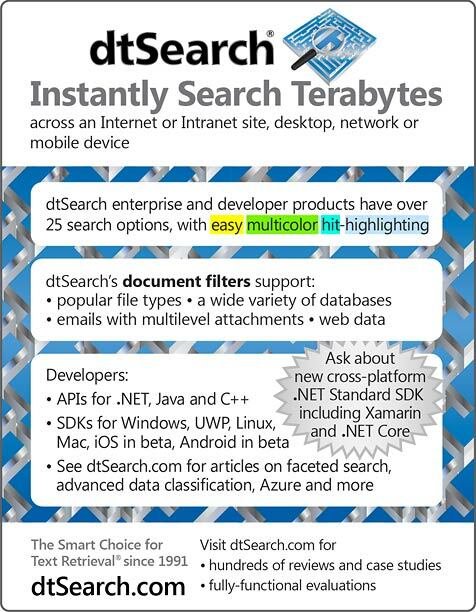 dtSearch enterprise and developer products instantly search terabytes of text (including 25+ search options). 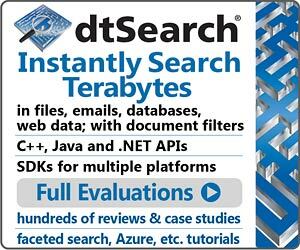 dtSearch’s own document filters support files, emails, databases and web data. 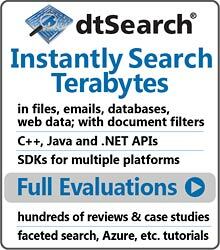 SDKs cover multiple platforms. See dtSearch.com for hundreds of case studies and press reviews, and fully-functional evaluations.